Welcome. Plans Performance offers our customers an intelligent alternative to main dealer sales, servicing, maintenance and bodywork. As well as selling historic, classic and sports cars, we focus on three areas: Maintaining and servicing road-going sports cars; preparing and tuning cars for track days; and offering professional race support. Our Team is made up of technicians and engineers that are either factory trained, ex-main dealer technicians; or degree-level qualified in Motorsport Engineering. First and foremost, we are car enthusiasts, who share your passion for your car. Our Style is to work in a professional and consultative manner. We specialise in the type of cars you couldn't take to a main dealer. We deploy our experience, innovation and creativity in delivering solutions and improvements for our customers within agreed timescales and budgets. Plans Performance carries out road car servicing to the same high standards it applies to its competition cars. By definition, sports car owners are driving enthusiasts and they will appreciate extra effort we put in to service and maintain their cars. We specialise in those cars that main dealers are either not good at or not interested in: Especially Honda NSX, Noble, Lotus, VX220, Porsche and Caterham. Our objective is simple: To be better than your main dealer; to manage the process properly; to adhere to schedules and deadlines; and to keep you fully informed at all times. A significant percentage of sports car owners now want to have a circuit driving experience. Track days provide safe, well-managed access to circuits all around the UK. Many sports car drivers get hooked and want - or need - to tune their car to the rigors required of this fast expanding sport. We have many customers that own track day cars that we store, maintain and deliver to the track - removing all the hassle of driving a track-focussed car to and from the circuit. Plans Performance understands this environment and can advise on the most effective improvements to a car's speed and safety on track. 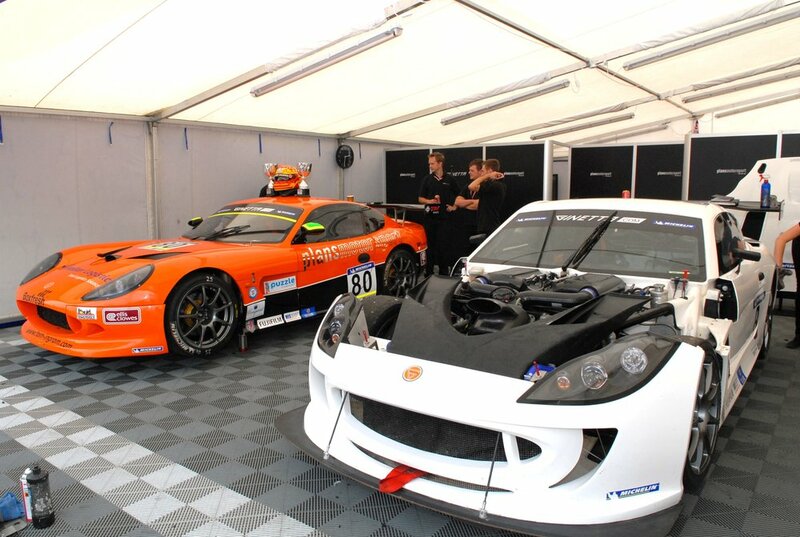 We have over thirty years hands-on experience in circuit racing, including Historics, Ginetta Supercup, Britcar, GT Cup, Fun Cup, and Aston Martin Vantage GT4. Motor racing places huge demands on the body and on the car and both deserve expert support. Plans Performance can assist in all the administration required to go racing - from licence application through to the handling of race registration, entries and all on-event organisation. All our work is undertaken meticulously in our 'modus operandi' and we can remain on hand to transport, support and store cars throughout the racing calendar.